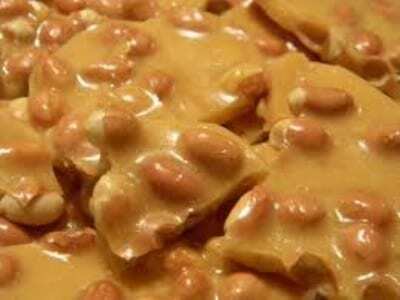 Old fashioned brittles just like you remember. Plenty of peanuts or almonds in every bite. 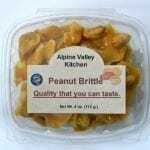 Choice of peanut brittle or almond brittle. Packaged in a clear tub. 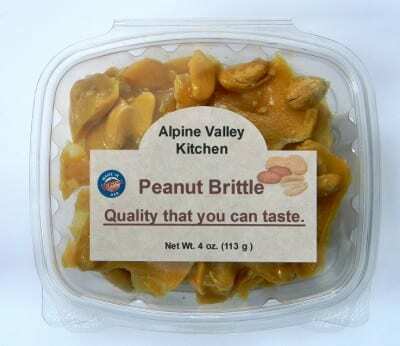 Peanut Brittle almond Brittle, choice is yours. Chocolate on the outside and filled with a delicious center. Centers have a creamy filling with a choice of two great flavors. 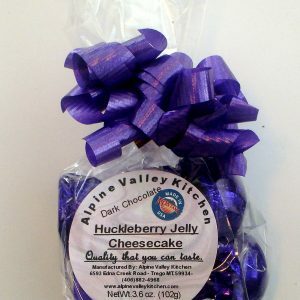 Choose between huckleberry cheesecake or raspberry cheesecake. Each piece are foil wrapped. Choice of milk or dark chocolate. Chili Chocolate Bar will leave a little warmth in your mouth. Chili combined with dark chocolate is the perfect mix, with hot and spicy. Comes only in dark chocolate. Some like it hot and spicy. Some not. Peanut butter and chocolate seem to be made for one another. Each piece is individually foil wrapped and sacked in an attractive bag. Choice of milk or dark chocolate. Three sizes to choose from. Here is two flavors that compliment one another. 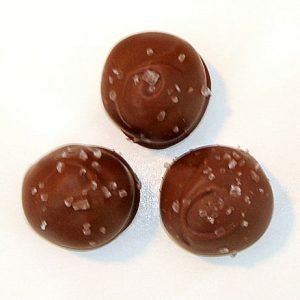 Chocolate on the outside and filled with our delicious caramel. Sea salt sprinkled on top. Each piece are foil wrapped. Choice of milk or dark chocolate. 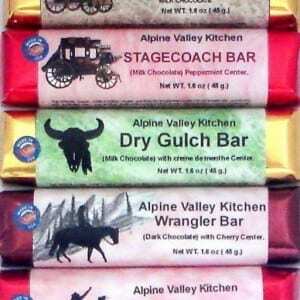 Wrangler Bar – Creamy cherry flavor center. Golden Spur Bar – Soft caramel center. Wagon Master Bar – Peanut butter, cherry,and coconut center. 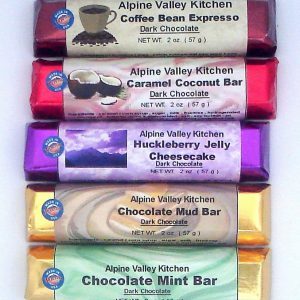 Also look at other candy bars that we offer. Choice of milk chocolate or dark chocolate. Barks are an old time favorite. 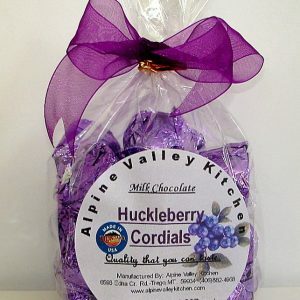 We offer this sweet, snappy treat in 5 different flavors. 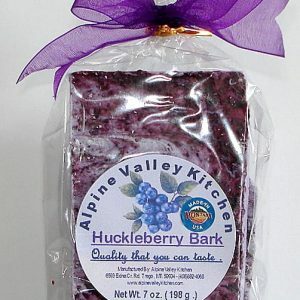 Bark is flavored with a special mix swirled on top. Cordials have a partially liquified center with chopped fruit in. Each piece is foil wrapped. Sack packaged with an attractive bow. Choice of milk or dark chocolate. We carry five flavors.